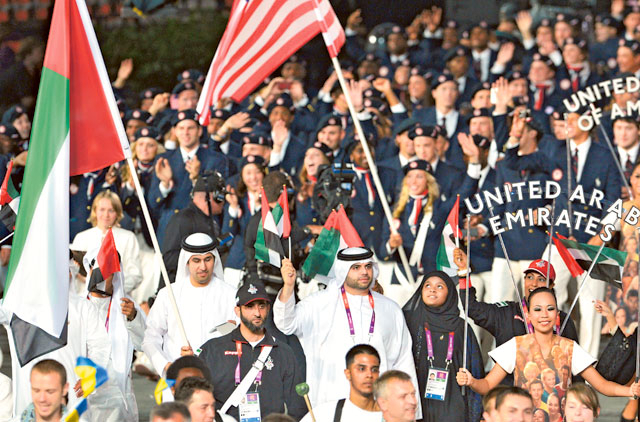 London: UAE coach Mahdi Ali is optimistic his team will get better as they line up their next challenge against hosts Team GB in the football competition of the 2012 London Games at Wembley tonight (10.45pm UAE). After going down to Uruguay 2-1 in their Group A opener on Thursday, Ali’s group of enthusiastic youngsters are keen to pocket the six points on offer in their next two assignments, including today’s much-anticipated encounter. “The first match was a great experience for all of us. We were playing at the hallowed Old Trafford of Manchester United and our boys were at ease as they knew the ultimate goal,” Ali told Gulf News after arriving here on Friday morning. In the evening was a light training session and the players gelled well between themselves, eager to put Thursday’s disappointment behind them. Skipper Esmail Mattar gave the UAE the lead in the 23rd minute, when he slotted home off a dainty Omar Abdul Rahman pass. But Gaston Ramirez restored parity for the two-time Olympic gold medalists and substitute Nicolas Lodeiro decided the match when he slammed home from close after his captain Luis Suarez had done all the hard work on the left wing in the 56th minute. “We played well, but we were unlucky. We created more chances than Uruguay, but they scored two and the match was won for them. I think a draw would have been a fair result,” Ali said. On the other hand, Team GB is tied with Senegal with one point after conceding a late equaliser in the second match on Thursday. “Of course I respect Team GB as they are very good. Besides, they are the hosts and the stadium will be crowded in their favour. We have to stay calm and see what we need to do to ensure we take home three points,” Ali added. Ali was effusive in his praise for his players, in particular young midfielder Abdul Rahman. “Omar is one of the youngest players in the team and he has such a fantastic attitude towards the game. I hope he plays better in the next match,” he said.